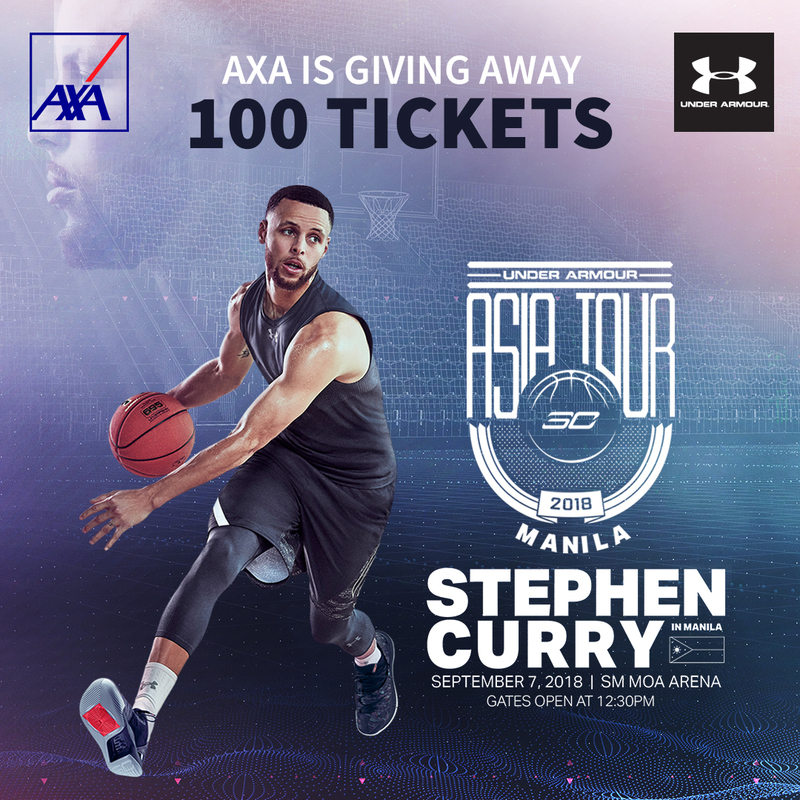 BoyRaket.com: AXA is Giving Away 100 Tickets to See Stephen Curry in Action! Stephen Curry is back in Manila! AXA Philippines, one of the country’s top insurance providers, is giving you the chance to see the two-time MVP and three-time champion live in action at the Curry Asia Tour 2018 on September 7 at SM Mall of Asia. Joining is easy! 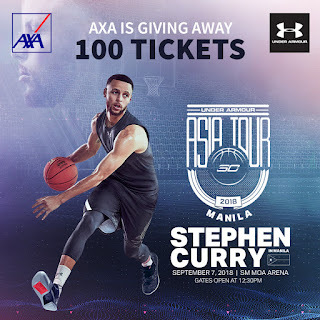 Simply like AXA Philippines on Facebook (https://www.facebook.com/AXA.Philippines/), share the Stephen Curry Asia Tour post, and tell us why you want to see Stephen Curry. Make sure to include the hashtags #AXAwhatsyourgameplan and #CurryAsiaTour2018. Don’t forget to make your post public. Submission of entries is until September 6 at 12PM only. Fifty (50) winners with the highest number of likes will win two (2) general admission tickets each to the event. Submit your entry now and don’t miss this opportunity to see him live. For more information, visit www.axa.com.ph/promos.